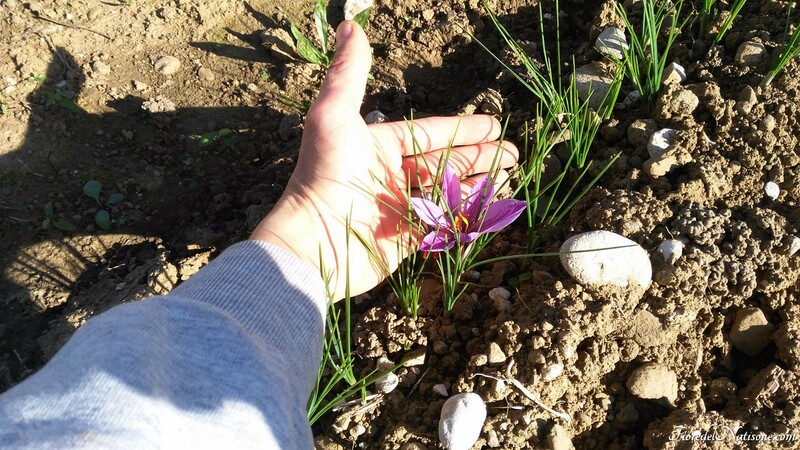 How to obtain a better Saffron flower production? This is a really frequent question! A high Saffron production is one of the most important goals to achieve...but not the only one! And everyone of us usually wants more and more production! It's a really difficult answer and an article is not enough to become an expert, but surely I can suggest you some tips. -In Soil management we must pay attention to structure: try to favorite air diffusion in the soil, organic matter preservation. I suggest to choose an organic agriculture approach. Biodiversity and respect of the natural cycles are essential to create an equilibrium. Plowing must be adopted only when really necessary: for example to make an hard compacted soil workable. Avoid high energy demanding soil treatments: you really need only to manage the first 10-15 cm of soil, not more! Avoid pesticides: they kill also useful organisms that are enemies of pests! -The bigger is the bulb, the bigger will be the number of flowers. -The healthier is the bulb, the better it will produce. Diseases are strong enemies of the flower growth. They're spread frequently when water retention is high and when there's not enough air circulation in soil. Soil must breathe!